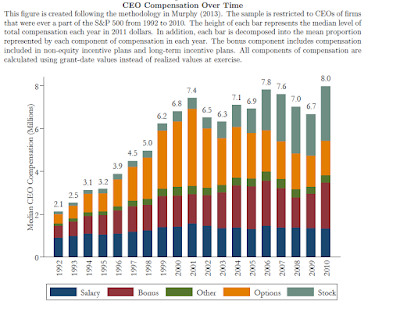 According to Shue and Townsend most of the growth in CEO compensation has been based on options. Looking at the figure below I would say stocks have also played a role. This is all in a period in which the CEO to worker compensation ratio was already at very high levels by historical standards. And by the way, it is also very high by international standards. 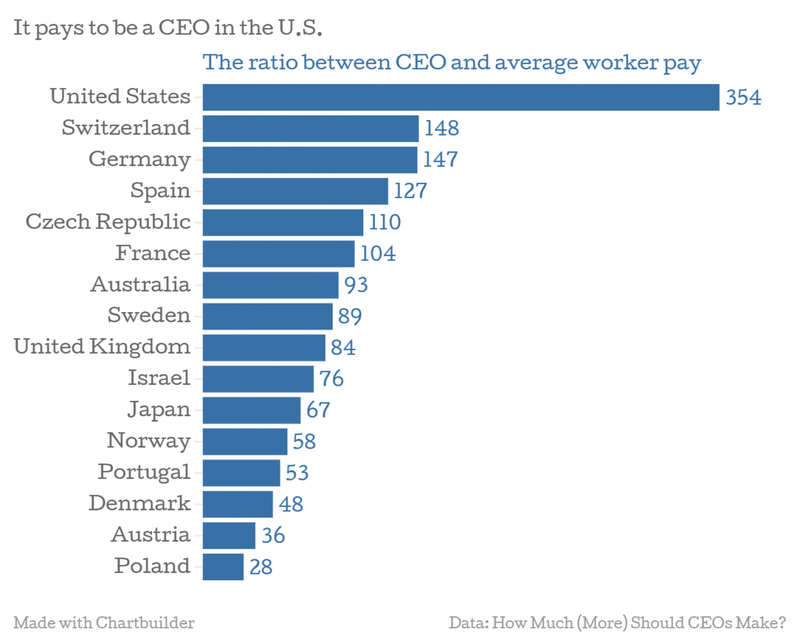 And you think a $15/hour wage is too high! The last estimate of real GDP growth in the fourth quarter of 2015 indicates that the economy expanded at 1.4%. Not very fast. Also, this week the Bureau of Economic Analysis (BEA) announced that personal consumption expenditures (PCE) increased 0.1%, and revised down the January number to 0.1%. In other words, consumption is slowing down, or so it seems. More importantly, the report says: "The February PCE price index increased 1.0 percent from February a year ago. The February PCE price index, excluding food and energy, increased 1.7 percent from February a year ago." In other words, core inflation remains below the 2% target, and it has decelerated a bit, since in the previous report it was indicated that core inflation increased 1.3% on a yearly basis. So there are good reasons for Janet Yellen to remain dovish, and suggest that interest rates will not increase significantly. Actually, there are good domestic reasons for that, even if she seems to emphasize the uncertain international economy. PS: There is also the question of whether we are (or not; and we aren't) at full employment. But that's a topic for another post. 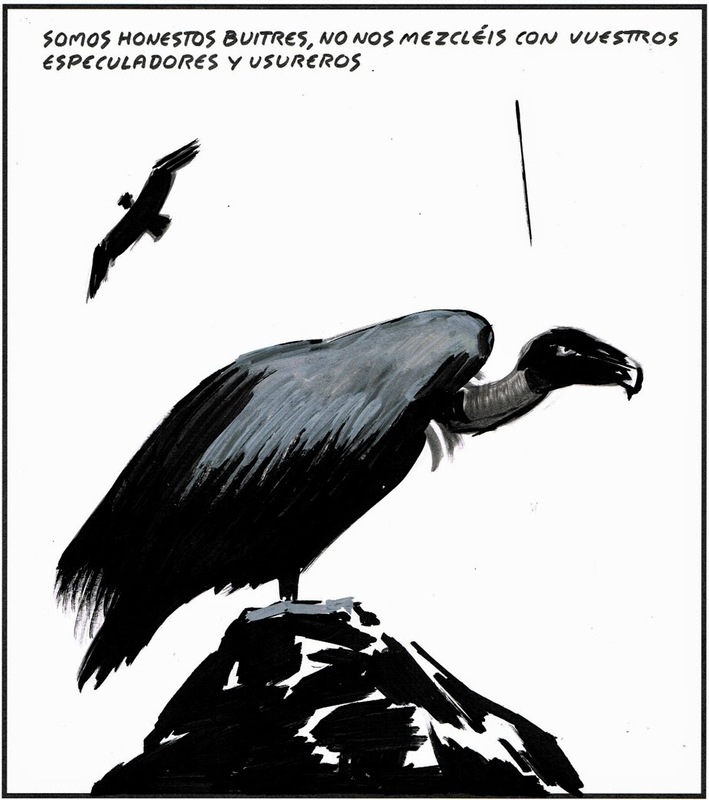 If Argentina finalizes an agreement with the holdouts, the so-called Vultures, it will close a long process that started with default in 2002, and was followed by renegotiations with about 93% of bondholders in 2005 and 2010. How fast has this process been when compared to other debt rescheduling processes? Figure below by Christian Suter (subscription required) looks at the average duration of defaults on foreign bonds in three different periods. Even though it misses the debt crisis of the 1980s, since that one was related to bank loans rather than bonds, the numbers might be pretty good for the whole period. The average for the whole period is about 9 years, which makes the Argentine situation rather long, and comparable to the 1821 to 1870 period. The table also shows what he refers to as the durability of debt settlements, or time period between the conclusion of the debt settlement and the outbreak of the next debt default or rescheduling. Let's hope Argentina does better on this one, but given Macri's policies I wouldn't be too confident. PS: Table 1 in Borensztein and Panizza also show the average periods of defaults, and they tend to be longer in the early periods too. 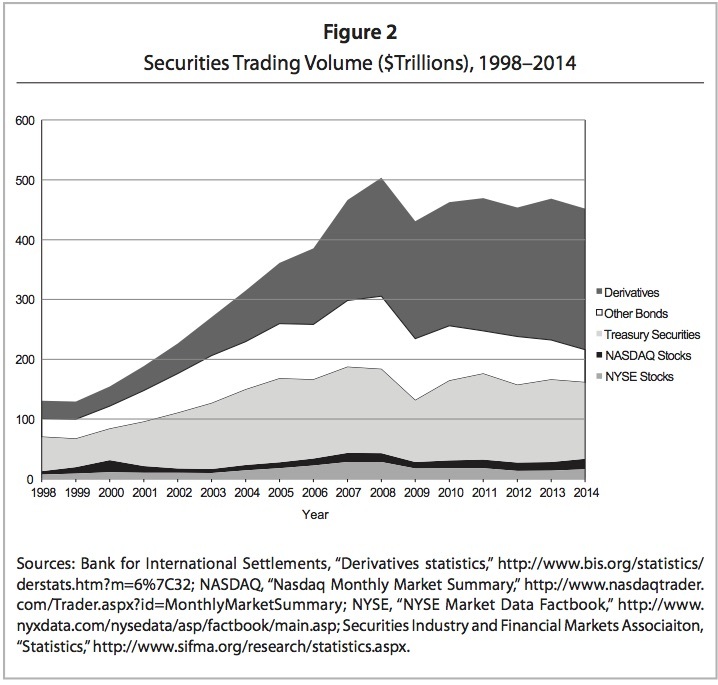 The volume of financial transactions has stabilized since the Global Financial Crisis of 2008, but remans at very high levels, as shown in the figure below. With GDP at about 18 trillions the volume of financial transactions is about 25 times the size of GDP. The potential problems associated to a hypertrophied financial sector. The source is this paper that discusses the possibilities of a financial transactions tax (FTT), something that has been proposed by Bernie Sanders. 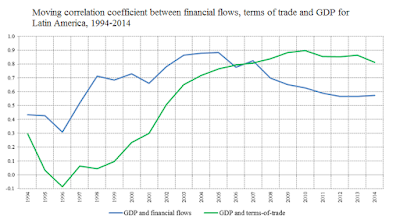 And as the authors note: "The revenue potential of a FTT stems from the enormous volume of nancial transactions, which have a value many times GDP." Helicopter drops might not be far away -- A bit old, but Martin Wolf suggests that if fiscal policy is off the table, then central banks could "send money, ideally in electronic form, to every adult citizen"
In 2009 I wrote that: "a progressive U.S. policy agenda toward Latin America should express support of and solidarity with the region’s left-of-center governments themselves." And central to that agenda was the need for: "would be reversing the corporate bias of the free trade agreements (FTAs) that have been signed over the past decade and a half." How well has Obama done in his almost 8 years by that yardstick, you ask. Not very well. Obama never cozied up to the left of center governments in the region, even though they promoted an improvement in income inequality, which has no other parallel in the world in the 2000s, when inequality increased in almost every region. Worse it is very clear that his administration was close to several groups that tried undermine the left of center governments. His role in the 2009 coup in Honduras against democratically elected President Manuel Zelaya, for example, is now plaguing his ex-Secretary of State Hillary Clinton. As noted by Marc Weisbrot a while ago: "both under Clinton and Kerry, the State Department’s response to the violence and military and police impunity has largely been silence, along with continued U.S. aid to Honduran security forces." Which, by the way, makes any claims about human rights violations, including Obama's complaints, during his historic visit to Cuba, seem somewhat hollow. There is obviously the opening up of relations with Cuba, certainly the highlight of his two terms regarding relations with Latin America. While Obama should be praised for at least not saying openly that the US seeks regime change in the island, it is hard not side with those in Cuba that are skeptical about American intentions. In particular, because the main guidance of American policy in the region remains the defense of the economic interests of its corporations, rather than the improvement of social conditions in the region, which should be a central concern, not just for the obvious humanitarian reasons, but also because in the long run socioeconomic conditions are central for immigration flows. In fact, Obama, who had campaigned as a critic of the effects of NAFTA going so far as promising to revise it, signed two Free Trade Agreements (FTAs) with countries in the region, Colombia and Panama, and is pushing, with Republican support, the Trans Pacific Partnership (TPP), which includes Chile, Mexico and Peru. And Obama's visit to Argentina, which follows the one to Cuba and starts today, is basically about free trade, and perhaps opening up Mercosur (the regional bloc that includes Argentina, Brazil, Paraguay, Uruguay and Venezuela), and perhaps implementing a regional FTA. Latin America does not need a pro-corporate foreign policy, at least not from a Democratic president, which does not serve the region, or the working class in the US. However, a significant change in the relations with the region must wait for the next president. Tom Jobim said that Brazil was not for beginners, and he was right. The Brazilian economy is in free fall. As I noted before the causes are strictly internal, and not related to any fiscal problem. Inflation was low, even if closer to the top margin of the inflation target. Devaluation of the currency has led to higher inflation, on the low two digit level, just slightly above 10%. At the same time, fiscal contraction has led to a collapse of about 3.5% of GDP last year. There is little need for discussing that again. Nothing much has changed. (3.) the central issues related to corruption are the structural ones, the ones that make it a necessary feature to manage the country (and those have been there for a long time). Things have, however, got out of control in the last month, and the judiciary (which is as corrupt as other institutions in Brazilian society, no more, no less) has been clearly used for political purposes. The investigation of accusations related to members of the government coalition and not of those in the opposition, and the illegal questioning and then the bizarre request by prosecutors to jail ex-president Luiz Inácio Lula da Silva (with citations of Nietzsche, and Marx and Hegel, rather than Engels) have politicized the corruption investigations. In addition, this has gone hand in hand with the establishment of impeachment procedures against the current president, Dilma Rousseff. The basis for the process is the delay in the payments to public banks (the so-called 'pedaladas'), which in the view of some imply the government is borrowing from public banks, which is against the Law of Fiscal Responsibility. Note that this was a common practice, even in previous governments, was never questioned, and can hardly be considered a crime that requires the impeachment of the president. So far nothing has connected the president to the corruption investigations, in contrast to her opponent in the last election, Aécio Neves, whose name has appeared in the same investigation for which Lula has been questioned and almost jailed. Many think that this is a thinly veiled coup d'état. It is hard to disagree. I should add that these events in Brazil, a pivotal country in the region, takes place at the same time that in Argentina a right of center party, with members with ties to the last dictatorship, that has promised to stop investigations into human rights abuses, won narrowly an election. That, in Venezuela, political maneuverings to shorten the mandate of Maduro are in place, while in Bolivia, Evo has lost the chance for re-election. In the middle of the retreat of the left in Latin America, Obama will basically go down to Argentina and Cuba to cheer about the rightwing turn in the region (note that the Post is wrong, this is not a swing to the center; these are radical right-wingers; on the policies pursued by the Argentine government go here; note that the main beneficiary of the agreement with the Vultures is Paul Singer, a backer of Marco Rubio). And the president that once said he wanted to revise NAFTA, will push for free trade with Argentina. If one adds the defense of Kissinger in one of the debates by Hillary Clinton (note that Bernie not only defended Cuba, but also cited the coup against Allende as an American mistake, part of the infamous Monroe Doctrine that he criticized), and her own ambiguous history with free trade, one cannot but be concerned about the American influence in Latin American affairs, even if Democrats remain in power. The continent, like Brazil, is not for beginners. * Note that most measures of corruption are related to subjective surveys, not objective measures. Also, the fact that more people, including some wealthy contractors and many politicians have been jailed, may indicate a healthy reduction of impunity rather than more corruption. "The Committee currently expects that, with gradual adjustments in the stance of monetary policy, economic activity will expand at a moderate pace and labor market indicators will continue to strengthen. However, global economic and financial developments continue to pose risks. Inflation is expected to remain low in the near term, in part because of earlier declines in energy prices, but to rise to 2 percent over the medium term as the transitory effects of declines in energy and import prices dissipate and the labor market strengthens further." 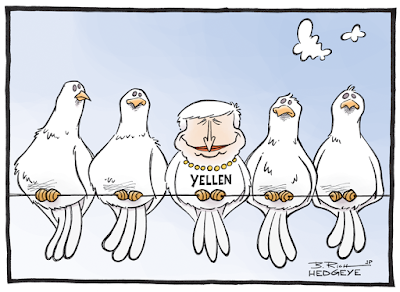 "The Committee decided to maintain the target range for the federal funds rate at 1/4 to 1/2 percent. The stance of monetary policy remains accommodative, thereby supporting further improvement in labor market conditions and a return to 2 percent inflation." There was one dissenting vote, Esther George the president of the Federal Reserve Bank of Kansas City, who wanted to hike the rate to 0.75%. Although they cite the international situation as the cause for caution, my hunch is that the slow recovery also played a role. 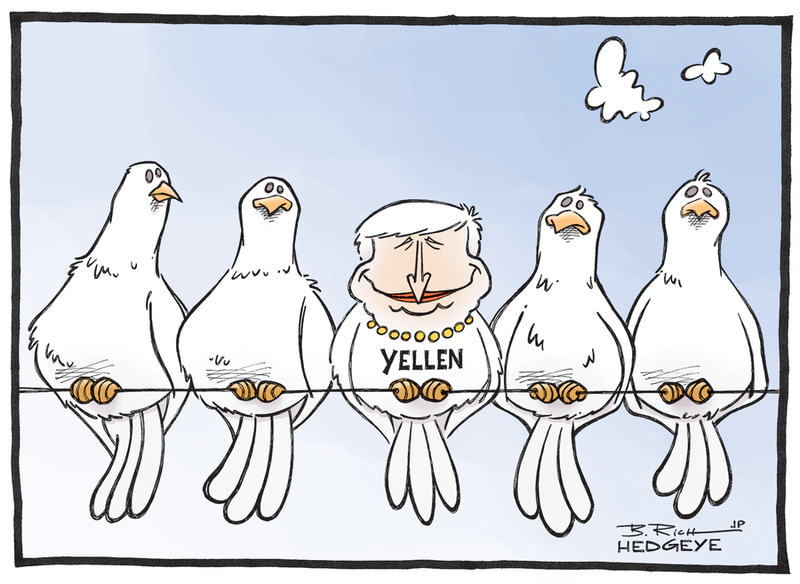 And the doubts about the idea that we are below the natural rate with unemployment at 4.9% must be at the center of Yellen's decision. Last weekend, as a result of Brad DeLong's post on free trade, we had a brief Twitter exchange. 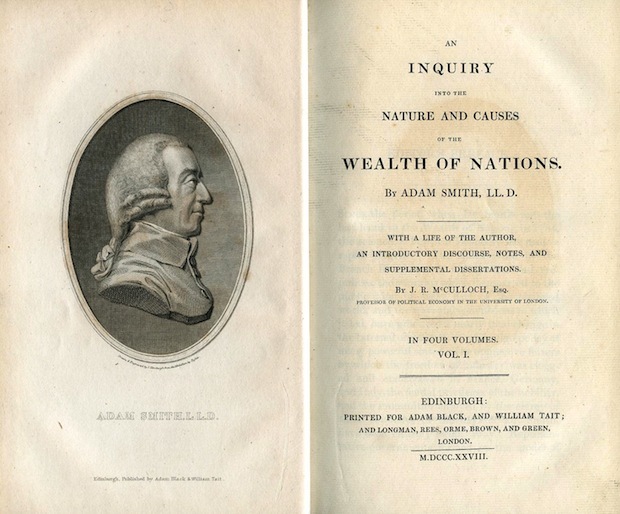 He had suggested that the Heckscher-Ohlin (HO) model* implies gains from trade associated to comparative advantage. He went further and suggested, after I implied that the Methuen Treaty between England and Portugal had not been favorable to the latter, that Portugal had indeed benefited greatly from free trade. It is important to note, before we get to Portugal, that the HO model, which is a direct application of marginalist theory of value to international trade, arguing that specialization depends on relative scarcity, with countries exporting the goods that use intensively the factor of production that is abundant, is open to the capital debates critique, as shown by Ian Steedman long ago. So the HO model results lack generality, and it is NOT possible to guarantee gains of trade, as suggested by Brad. Actually, there should be no surprise that one finds paradoxes and problems, like the famous Leontief Paradox. That does not mean that comparative advantage is conceptually wrong. The old Ricardian model does not have the problems of the HO model (Brad would have been on more solid logical grounds using this model). It is open to critiques of its use of the labor theory of value (LTV), but those can be dealt by the Sraffian reinterpretation of the LTV (for that, although not related to trade, go here). Note, however, that Ricardo's model presumes fixed levels of employment (not full employment, but given or constant) and no capital mobility. Anthony Brewer showed (subscription required) that in the Ricardian model, with capital mobility, producers would move to the country with lower costs, basically lower wages (exogenously given by classical authors), and absolute advantage would dominate trade patterns. So what about trade between England and Portugal, you may ask. In part, the reason why Ricardo, a descendant of Portuguese jews that emigrated to Italy, the Netherlands and then to England, used the cloth-wine/England-Portugal example in his Principles, is because of the Methuen Treaty of 1703, a sort of free trade agreement. 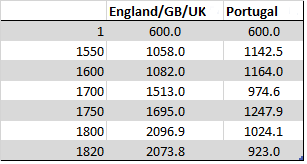 If one looks at income per capita (Table below using the Maddison data), one finds that Portugal was, by the time that follows its control of the trade routes to Asia (after Vasco da Gama reached India in 1498), slightly ahead of England, but by 1700, on the eve of the Treaty, it was considerably behind. Yet, by 1750, it seems that Portugal caugth up a bit, only to fall inexorably behind after that. By 1820, the income per capita in Portugal is less than half of the English. So is there any truth to Brad's view that Portugal benefited from the free trade agreement, you may ask again. The point is that, the Iberian Union (1580-1640), when Portugal was governed by Spanish kings, and the loss of the Asian Empire (but not Brazil) was behind the Portuguese long term decline, which started way before the Methuen Treaty. Guns (and sails, Carlo Cipolla would add), not comparative advantage, were behind the rise and fall of the Portuguese empire in Asia. The Dutch and then the English would come to dominate those trade routes. And the improvement in income per capita in the 18th century in Portugal can be ascribed to the discovery of gold in Brazil (a little aside, it is the combination of Brazilian gold, the Methuen Treaty, and the infamous mistake in the pricing of silver by Sir Isaac Newton that, arguably, put England on a Gold Standard). Free trade did not explain that. So the Methuen Treaty by itself did not cause the ruin of Portugal. But it added to the problems associated to the loss of the Asian empire, and created patterns of specialization that did not lead to further technical change and economic development. Trade matters, because what one country produces and exports matters. Complex products with higher value added are more likely to lead to the incremental innovations that are behind the wealth of nations. You may call that increasing returns or cumulative causation. Trade agreements that ossify the production structure in sectors with low levels of technological dynamism lead to lower growth, and, as in any process with path dependency, failure breeds failure. Portugal, like England, needed managed trade, not 'free' trade. * The model is often referred to as Heckscher-Ohlin-Samuelson (HOS), since Paul Samuelson was instrumental in formalizing the HO theorem and extending some of its results. Also, less frequently the model is referred to as Heckscher-Ohlin-Vanek (HOV), as done by Brad, since Jaroslav Vanek noted that trade of goods is indirect trade of factors of production, providing further extensions to the model. A short note in Spanish for Página/12 on the new direction of the Macri's government, with the emphasis on free trade and financial deregulation. Will try to post something longer in English later this week. Success achieved by the Indian economy , as highlighted in the recent budget of the central government rests on four pillars which include current GDP growth rate at 7.6%, drop in inflation ( as measured by the CPI index) around 6%, a record stock of official reserve at $350bn and most importantly, a reduced fiscal deficit at 3.5% of current GDP. Looking beyond the official figures to convey the positive note, one comes across reservations; first that the GDP growth, calculated by the earlier method so long followed, would have generates a rate around 5% and no more. Second that the stock of official reserves have much to do with inflows of short term and volatile capital flows which may evaporate without much warnings. Third the comfortable inflation at present may also not last very long if the current lows in oil and commodity prices reverse. Finally, to come to the much proclaimed claim of achieving growth via financial stability with reductions in the ratio of fiscal deficit to the GDP , the argument. as pointed out below, does not stand scrutiny. Lets spell out what a reduced fiscal deficit implies for the economy. Unlike the earlier practice of meeting the deficit with money printed by the Reserve Bank with the consent of the government, the gap now can only be met by additional borrowings of the state from the capital market. Incidentally, that too is considered ‘harmful’ in terms of what is considered as ‘prudent’ fiscal practices, with state borrowings likely to preempt borrowings by private agencies. As for the fiscal deficit which is necessarily funded with market borrowings, it simultaneously generates fiscal liabilities in terms of interest payments which incurs corresponding expenditures in the fiscal budget . In addition to the fiscal deficit, the budget document provides two more estimates of the deficit. Of the latter the ‘primary deficit ‘ is arrived at by deducting interest payments from the fiscal balance. With the fiscal deficit at 3.5% and interest payments alone accounting for 3.3% of GDP , the estimated primary deficit comes to less than 0.3% of GDP. This, going by the major heads of expenditure in the primary budget, would imply cuts in social sector spending and capital expenditure, the two major heads of spending in primary budget other than defense. It is little surprise that subsidies on food accounting the budget at less than 0.9% of GDP. What, then the budget has offered for the economy in general? The adherence to fiscal deficit target may project financial stability and a better investment climate to those who have faith in the magical consequences of a smaller deficit as a curb to inflation and its conducive effects on investment. It is. However, another matter that reduced public spending as goes with cuts in fiscal deficit may actually turn out to be a dampening factor for investment. Above will be matched by the inability of the state to instill demand by its own spending, as capital expenditure and social sector spending both of which are potentially income generating, and in addition, redistributive, an aspect which is crucial in the context of the prevailing inequality and poverty in the country. While recognizing the uncertain as well as the depressive trends in the global economy which could disrupt a smooth sailing of the domestic economy, the budget seeks to instill confidence by taking comfort in what it observes as a path of macro-economic stability in India by achieving a pace of non-inflationary growth. The complacency is definitely over-rated, with a total absence of any proposed firewall to counter the current and future shocks to the economy as may arise from a sudden withdrawal of speculative and short term capital flows , as for example has been the case with recent turmoils in the global financial markets with the turbulence in the Chinese stock and currency market. Nor is there any attempt to prepare the economy to weather further shortfalls in export earnings as may arise with recession as well as protectionism in the global economy. Thus it may look rather disconcerting that notwithstanding the problems with the vagaries of global finance, the budget announces further opening of financial market with schemes for new derivatives to be launched by the Security and Exchange Board of India (SEBI) and options for insurance companies to invest in stock markets. The moves are in accord with the on-going facilitation at an official level to risk taking in markets, which include the use of derivatives like futures as hedging instruments . Little, if any concern is there on part of the government to arrest the spate of speculation in stocks, property , currency and even in commodities. The economy today is much dominated by finance which has little to do with the real economy of output and jobs . With uncertain markets generating the need to hedge financial assets by using derivative instruments like futures, options and swaps , the gains and losses therefrom are like transfers across the economy which do not account for changes the GDP. A rise in stock market transactions which pushes up stock indices like the Sensex thus has no reason to be associated with simultaneous or a lagged response with a rising GDP in the real economy. Speculation in uncertain markets of the economy has been used to operate with shadow banking practices much of which are responsible for the growing incidence of NPAs in the PSUs and the large number of scams in the economy. The budget is remarkably tolerant of those developments, as can be gathered by its enthusiasm in further opening the floodgates of speculation in the economy. Nor is it preparing the economy against job losses in the event of further shortfalls exports which may be at the corner. Do we then brand the recent budget as one more attempt to achieve the so-called ‘financial stability’ at the cost of the real economy? 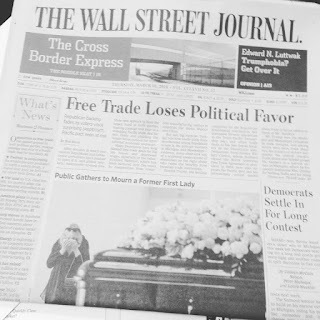 Paul Krugman has a new op-ed ('A Protectionist Moment?') in which he tries to walk away from his own contribution as an elite trade economist to the damage done by globalization, while also lending his political support to Hillary Clinton and the neoliberal globalization wing of the Democratic Party. His article inadvertently spotlights all that is wrong with the economics profession through the lens of the trade debate. Krugman has been a booster of trade and globalization for thirty years: marginally more restrained than other elite economists, but still a booster." PS: I had discussed recently Krugman's history as a free trader turned 'protectionist' (note that I personally don't like the terms free trader or protectionist; t's all about managed trade, and how and for what purpose to manage it) here. As I noted, behind the veneer of change "Krugman remains as conventional as he can be. He avoids telling you that trade has negative distributive effects, and that it might negatively affect industrial employment, and potential growth." Wall Street Journal notes the obvious, given the US presidential campaign. Here some old entries that explain the theoretical problems with "free trade." Some are more theoretical (first three) and others more in tune with the issues related to Free Trade Agreements (FTAs) and Bilateral Investment Agreements (BITs). Note that the quote is related to international trade, and the fact that those that buy domestic rather than foreign products help the local economy, even if that is not their direct intent. "factor that shaped the MIT faculty’s conclusion that the experiment had failed was their impression that black graduate students—particularly when they entered the program in sufficiently large numbers to form a Black Graduate Economic Students Association—were too concerned with social issues and the black community to participate in 'real' economics. MIT’s faculty, which did not include any black faculty members (and never has included any black faculty members on tenure track), seemed to want its black graduate students to replicate their own interests and style of doing economics. There was little enthusiasm for black economists bringing a set of intellectual questions and perspectives to the field separate from their white mentors’ interests and expertise. The experiment might have been deemed a success if black graduate students simply pursued economics in the same way as their more senior predecessors." Note that this is a very similar problem that heterodox economists face within mainstream departments. And I should add that the 1970s, when the desegregation of MIT's Econ Department failed, is the same decade in which heterodox economists where segregated from most mainstream departments and journals. The creation of the Cambridge Journal of Economics and the Journal of Post Keynesian Economics in that decade attest to the fact. I am not suggesting that African-American graduate students were per se heterodox, although some obviously were (Sandy himself, a student of Lance Taylor, and co-author of an alternative macro textbook, would be an example), and that might have caused further problems. ** One wonders what would have happened if the desegregation efforts had started earlier, in the 1960s. In a sense, I think that the failed experiment is also, to some extent, the result of the closing of minds within mainstream economics departments in the 1970s, something rooted in the rise of conservatism in a broader sense. * In this context, the quote from Solow on Sam Myers is priceless. He says: "Sam feels the normal conflict between the desire to do good academic economics and the desire to be useful to the black community." That both things are in conflict is taken for granted. ** Here again Solow's comments are invaluable. He says about Sandy's work that: "his paper on the Pasinetti model [indicates that] he should have been steered toward topics of more permanent interest." "over the last 25 years policymakers in Washington have become increasingly fiscally conservative. The current recovery is the only one in the postwar period during which government expenditure has decreased in real terms. Fiscal austerity, together with weak foreign demand, has put the entire burden of supporting aggregate demand on the private sector spending in excess of its income and borrowing. 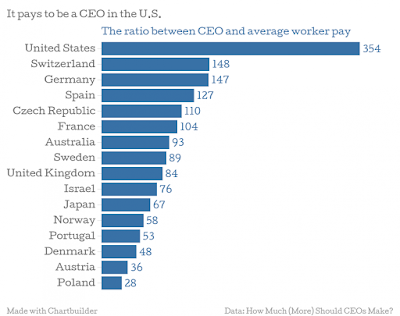 This has led to a rapid increase in the private sector debt-to income ratio in the United States." I'll post a longer discussion later, but I wanted to provide a short update on the situation in Argentina. Everything indicates, as I had noted before, that the government of Macri wanted to accelerate inflation, with depreciation and an increase in the electricity bill.Macri rehired the technician (Graciela Bevacqua) that had been fired by Cristina Kirchner, and that led to the (mostly true) critique that inflation was higher than the official measure indicated. More importantly, for a government that constantly bashed the previous administration for lying about inflation, they fired the same technician as soon as it became obvious that inflation was accelerating (you can check the numbers in Cavallo's website; this is the son, not the infamous finance minister; as it can be seen inflation accelerates again in November 2015, right after the election, with the huge depreciation of the peso). Also, it is clear that the economy is slowing down, with the index of production provided by Ferreres suggesting a fall in January of about 1.1%. Not clear what the new unemployment rate is, but the increase in the layoffs in the public sector, and lower growth will lead to higher unemployment. It is true that given the current account problems the economy had already slowed down in the last 3 years or so, but the adjustment and the depreciation will likely throw the economy in a recession (we will see if the hopes of the Argentine new developmentalists pan out, and export-led growth compensates the collapse of the domestic market; I, obviously, doubt it). Finally, Argentina is also finalizing an agreement with the Vulture Funds, which basically accepts all their demands. Regularizing the situation and having access to international financial markets is not a bad idea, but certainly there was no reason to cave to the Vultures' demands. So more inflation, to reduce real wages, and lower growth, also to weaken the labor force's bargaining power and roll back the social progress of the last decade or so. And that's why Macri was elected anyway. PS: There are many other problematic issues in this very short administration so far, including the packing of the court, and the treatment of human rights organizations, to name a few. But it seems that in general I more or less got it right in my talk on what to expect in November, and the article that followed. I met him in a few conferences. His book on the economic history of Argentina stands with Celso Furtado's on Brazil and Anibal Pinto's on Chile as a mark of the structuralist, associated with Economic Commission for Latin America (ECLA), interpretation of economic development in the region. 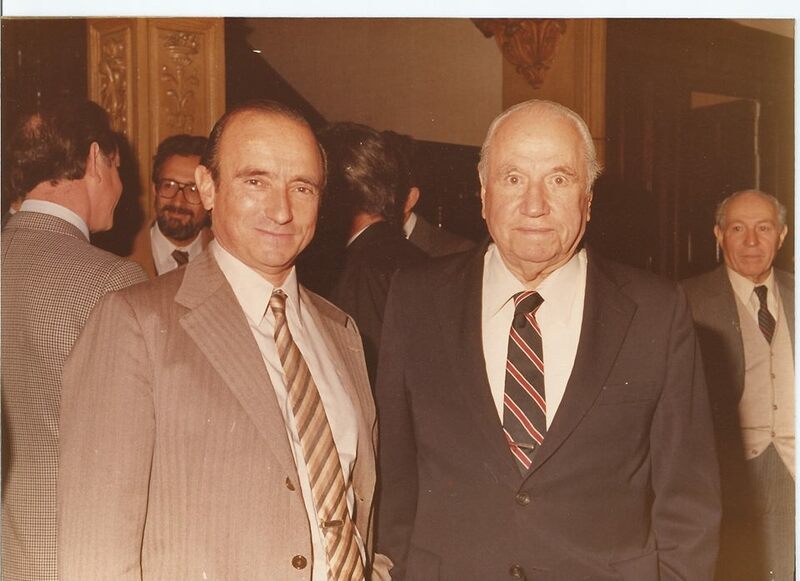 From the Buenos Aires Herald: "Economist and former economy minister Aldo Ferrer has died today at the age of 88. Politically related to the Radical Party, Ferrer earned a vast public service career." Read the obituary here. There has been for quite a while now discussions on why younger voters prefer Bernie over Hillary in the Democratic contest (see this WAPO piece from last year, or this in the NYTimes, or this more recent by Nate Silver). Maybe someone already noted this before and I missed it, but it seems that the obvious answer is related to Bernie's proposals on health (Medicare for all) and education (tuition and debt free college). The other issues do not have an evident difference in their effects on young versus older voters. One would think that all democrats and left-leaning independents think that corporations have too much power and that inequality is beyond reasonable levels (the one issue in the campaign, arguably). The downside of this American peculiarity (yes, in this case exceptionalism is right) is that Medicare created a constituency for the program. There is a fear, sometimes exacerbated by the 'liberal' advisors of Hillary, that universal health care would imply worsening treatment, or more expensive at least, for the elderly. In the case of free access to college education the age divide is even more obvious. It is still unclear that Hillary will be the Democratic candidate, and certainly there is a chance for Bernie, but if he is to win it will depend to a great degree on younger voters, and that is related to his health and education proposals. * Medicaid was an extension of welfare, and as such had a lower status, since recipients were (and are) seen as less deserving. This paper explores zero lower bound (ZLB) economics. The ZLB is widely invoked to explain stagnation and it fits with the long tradition that argues Keynesian economics is a special case based on nominal rigidities. The ZLB represents the newest rigidity. 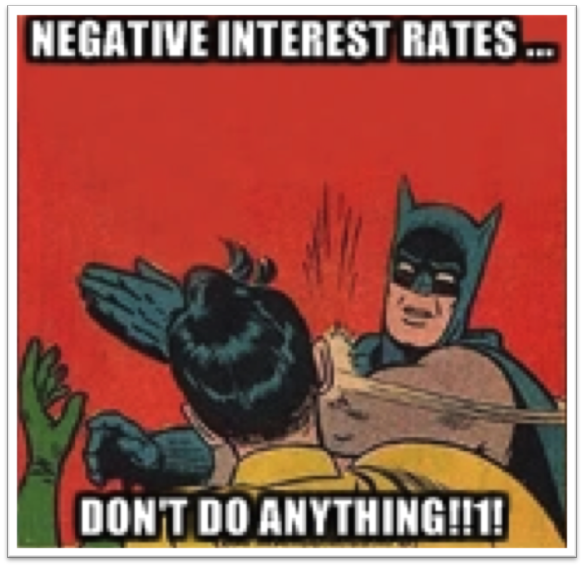 Contrary to ZLB economics, not only does a laissez-faire monetary economy lack a mechanism for delivering the natural rate of interest, it may also lack such an interest rate. Moreover, the ZLB can be a stabilizing rigidity that prevents negative nominal interest rates exacerbating excess supply conditions. From the presentation with Esteban Pérez. 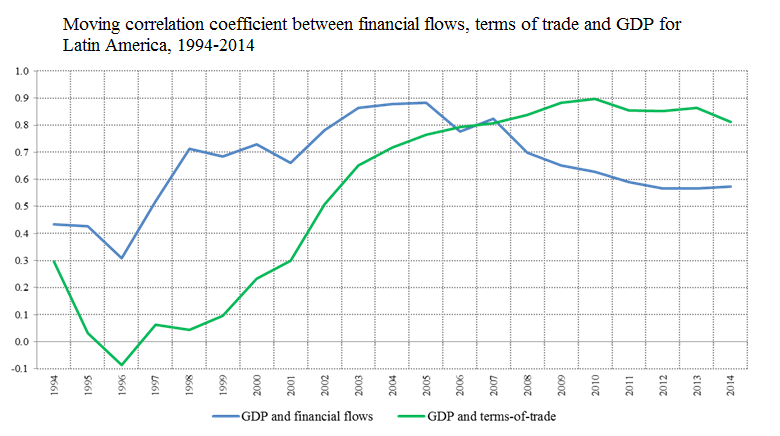 The graph shows that growth in the region is increasingly tied to terms of trade changes and financial flows. This was something we discussed a few years ago here.